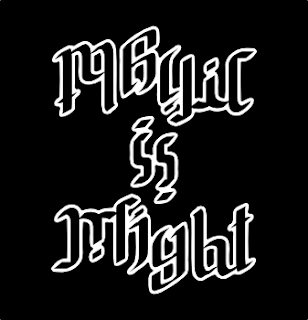 Here's my newest ambigram based of the engraving on the statue in the Ministry of Magic. Its a bit jagged but I've been working on it for two days and thought that it's about time it went online. Harry Potter fans should note that this is merely artwork and that I'm in no way against Muggles and other races.